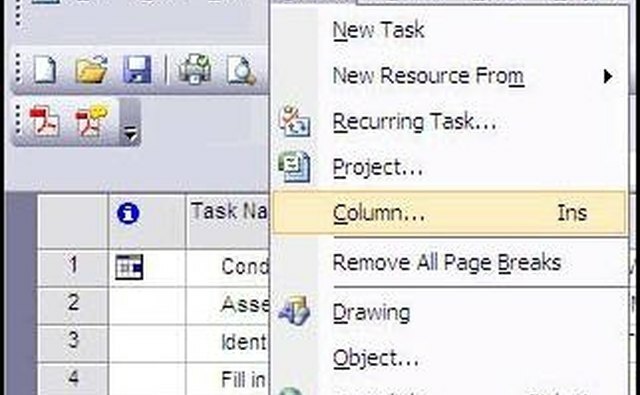 Microsoft Project has a number of columns that are hidden by default in new projects. It is also possible to hide columns when working in any given project for convenience of viewing. 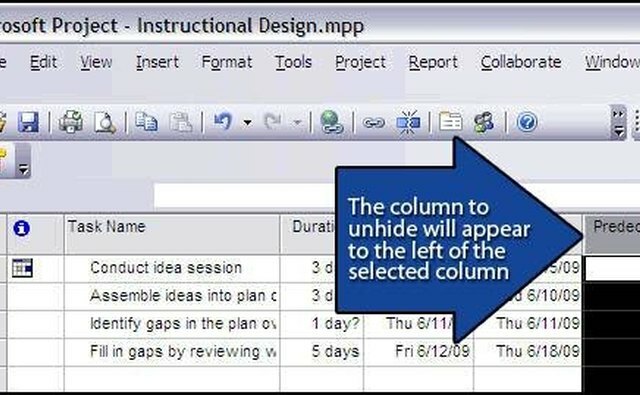 The process used to unhide columns in Project takes a few steps but reveals a wealth of additional tools that can be used to expand the program's functionality. 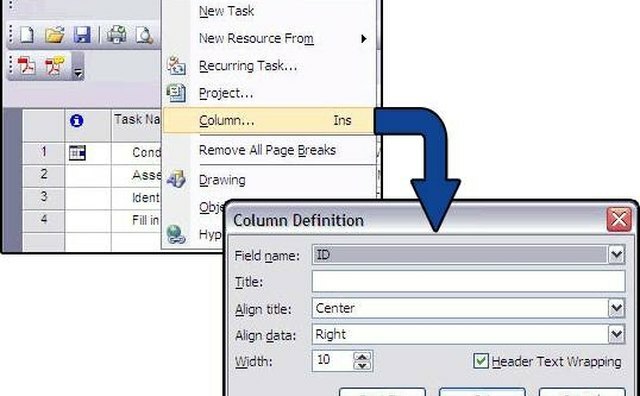 "Click" the column header to the right of the position in which the new column should appear, as in Image 1. This action will select and darken the entire column. "Click" the "Insert" option from the menu bar, as displayed in Image 2. 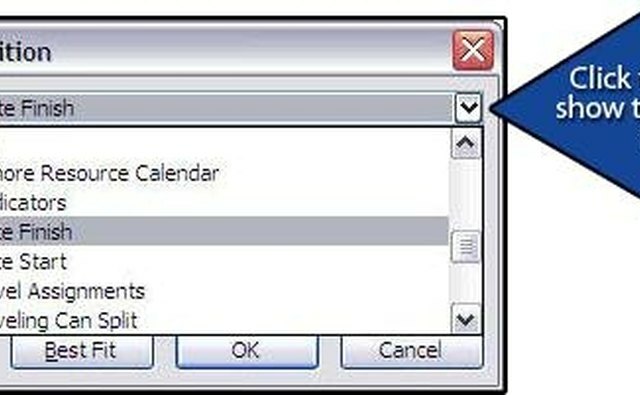 This will cause a drop-down menu to appear. 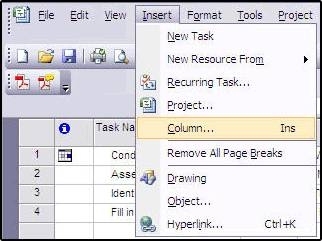 Click "Column" from the drop-down menu. This will bring up a dialogue box entitled "Column Definition," as in Image 3. 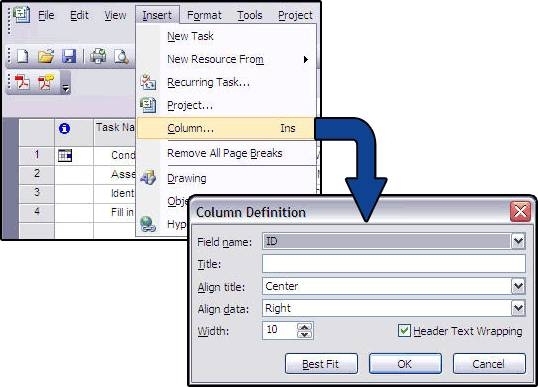 This feature allows you to select the column to be displayed. Click the down arrow to the right of the "Field Name" text box. This will cause a list of fields to display, as in Image 4. 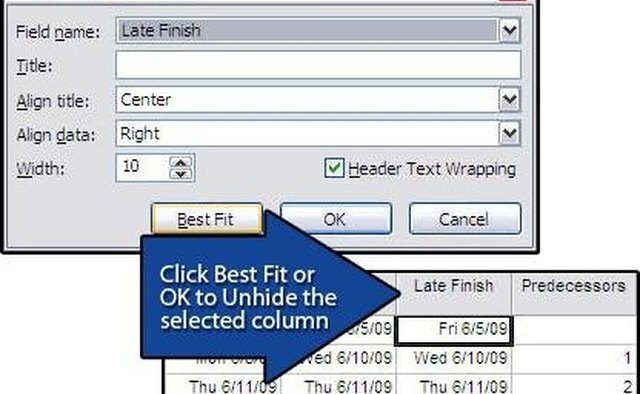 Select the name of the column you wish to unhide from the list. 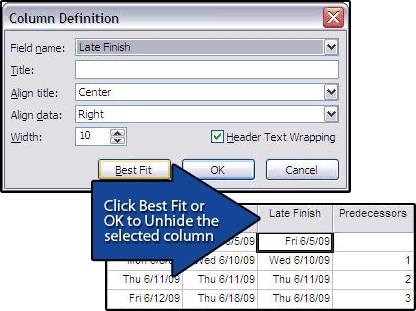 Click the "Best Fit" button at the bottom of the Column Definition dialogue box to display the hidden column as in Image 5. You may also add a column by clicking "OK," but that will require manual column-width adjustment.